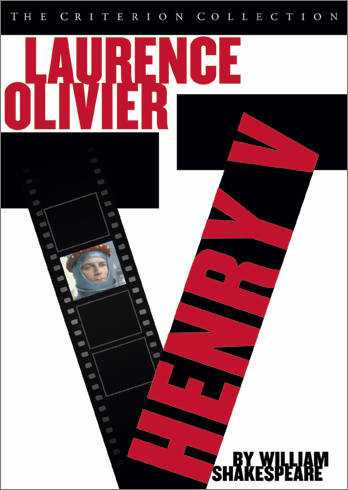 You are currently browsing the category archive for the ‘Laurence Olivier’ category. Act I, Scene V: Elsinore. A platform before the castle. I used to insist that my house was haunted. Once, while going into the basement, I swore I saw a blue figure walk from wall-to-wall, passing through them as if they were open doors. It was a tall gentleman, wearing a top hat and Victorian clothing. He seemed in an awful hurry. Granted, at the time, I read as many books on supernatural phenomena as I could. Well-worn books with black-and-white photographs of famous monsters: Patterson’s shot of Bigfoot, Surgeon’s shot of Nessie. And ghosts — so many pictures of ghosts! Perhaps they were just double-exposures and fissures in the emulsion, but to me, they may have well have been rips in the mortal veil. There are more things in heaven and earth, Horatio, than are dreamt of in your philosophy. My brother played a trick on me. He knew I had this fascination with ghosts, so he waited until I was headed down to the basement. And there, at the bottom of the stairs, he had draped a bedsheet over himself, with holes cut out for eyes. It was the cheapest, most generic ghost you could imagine, and yet, when I saw him, he yelled, “Boo!” and I screamed and ran back upstairs. I later learned from my sister that our mother was mighty angry that he had ruined a perfectly good sheet. Act I, Scene II: A room of state in the castle. The basement is now my father’s domain. My mother banished him there ages ago, because no one could sleep once he started snoring. We lived directly under the flight path of Stapleton Airport, so we should have been used to the noise, but even a floor away from the rest of the family, we heard his nighttime rumble crawling through the air vents, his restless spirit taking revenge on the rest of us. But he prefers it down there. He has his computer and his home theater. He reads in his waterbed or blasts his Vietnamese pop music through the surround sound until my mother complains that it’s rattling the upstairs windows. He also runs a one-man Vietnamese media service, burning compilation CDs for his friends or ripping movies borrowed from the library into his own library. He makes custom covers for them, has them stacked nicely by the fireplace. He even rips movies from my collection. But, Dad, I tell him, I own them. You don’t need another copy. Just in case, he says. Just in case. In case of what? I wonder. He’s in his mid-70s now, and I worry that the stairs bother him. He gets cortisone shots in his back for a fused disc, my mother reports, but now his knees have been acting up. But, you must know, your father lost a father; that father lost, lost his, and the survivor bound in filial obligation for some term to do obsequious sorrow. I know the time will come — perhaps soon — when he can no longer live in the basement with the ghosts. About twenty minutes into watching Henry V, Matthew pulled out a Wordsworth Classics edition of the play and tried to follow along. I didn’t even know we had copy in the house. He flipped the pages of the thin paperback; there was still residue on the cover where the price sticker had once been. Yes, I told him. And not only that, but they added stuff in as well. During the death of Falstaff, we skimmed the pages to no avail. Falstaff isn’t even in the cast of characters. What? Messing with The Bard? Who in his right mind would do that? 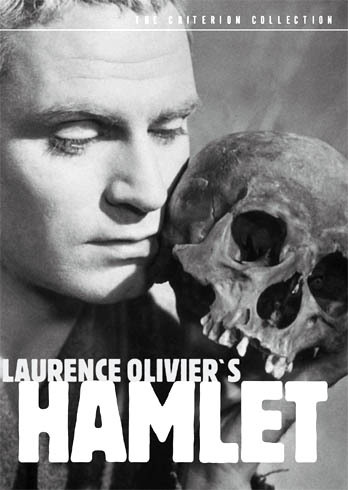 Laurence Olivier, according to Bruce Eder, trimmed approximately 1500 lines from the source material. Entire scenes have fallen away; in their place, a mounted knight duel, a flurry of arrows, a bravura tracking shot of horses going from a trot to a full gallop. Honestly, though, Shakespeare’s histories and I — we don’t get along too well. Comedies, yes; tragedies, yes; but I’ve never found the histories that compelling. What? I hear people saying. And you teach English literature? Indeed, but I never claimed to teach all of English literature. The Archbishop of Canterbury’s sixty-plus lines recounting Henry’s lineage might be incredibly informative, but it’s also incredibly dull. The genealogy craze has exploded in the past few years — two television shows in the last year alone — but I find it less than compelling. Being a recent immigrant to the United States (1975), the wealth of information available to others who have been here longer — church records, immigration papers, employment lists — isn’t useful. Friends of mine have made pilgrimages to small rural towns to check parish records, to thumb through yellowing, water-stained pages, to glance through stocks of microfiche to track down the various branches of their family tree. And, in any case, listening to someone else recount his ancestry is like watching a vacation slide show: they get to relive their history, I get to live my own boredom. It’s not that I’m not curious about my roots, but that I’m willing to accept the version of history that my parents have passed down to me: I’m descended from royalty. It’s every eight year-old girl’s dream, and it’s something I accept as a matter of faith. Despite my misgivings, I typed my name into an family tree website but got no further than my parents’ names. I realized that I didn’t know my grandparents (except for my maternal grandmother), beyond seeing their pictures on the altar in our living room and sporadically burning incense for them. I didn’t know their ‘real names’ — I only knew them by the functional Vietnamese words for grandmother and grandfather: ông nội and bà nội (ông ngoại and bà ngoại for the maternal grandparents). They were a continent away and decades removed. I could piece together snapshots of them from family stories — my paternal grandmother’s fiery temper, for example — and that makes them real enough to me. Would it be so terrible to discover, further and further back, that I’m descended from a stablehand or a rice farmer or a drunken French colonialist? Not at all. But it doesn’t help illuminate my own person, even if, as Henry V proposes, it entitles me to a nice piece of property across the sea.